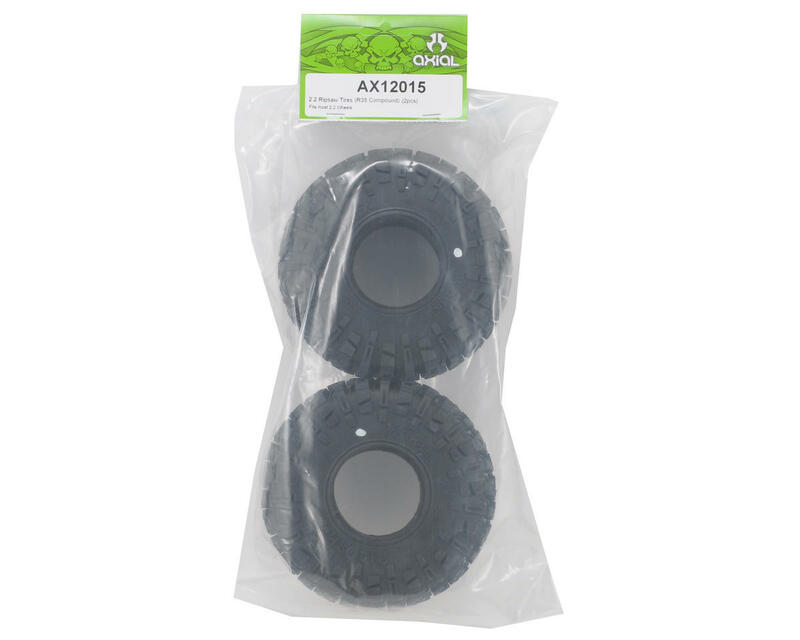 This is a set of two Axial 2.2 Ripsaw Tires, in R35 Compound. 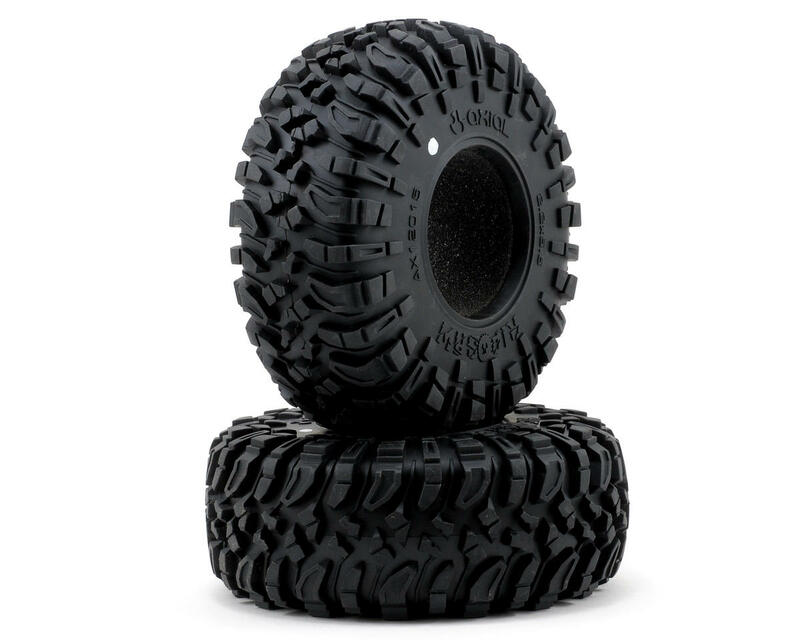 Within the full size rock crawling & off-road race segments, overall tire diameters have been on the rise, literally. This has directly influenced RC Crawlers and the Axial Ripsaw reflects this attraction of flirting with rocks at speed with a compelling design that will give your rig and aggressive competition look, while at the same time drastically improving performance. The Axial 2.2 Ripsaw Tires are a realistic looking tire for the image-conscious scale crawler, but will also help to improve performance with an aggressive tread design, the sticky R35 compound and great ground clearance. Crawlers will benefit from more ground clearance where it counts, as the Ripsaw measures 5.5" [140mm] in diameter. This gives the lowest point on the 4X4 axle housing more clearance thus giving you more tactical driving options in those sticky predicaments!